"Now, I know that some think of this as just a small engineering school on the Severn. 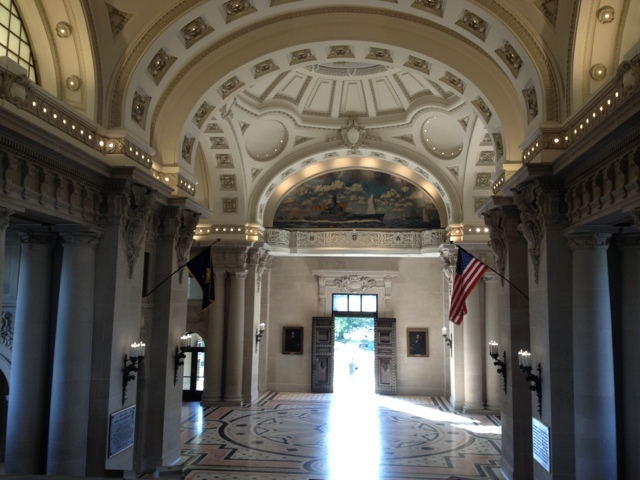 You’ve not only met its rigorous standards, you’ve helped this Academy earn a new distinction -- the number-one public liberal arts school in America." 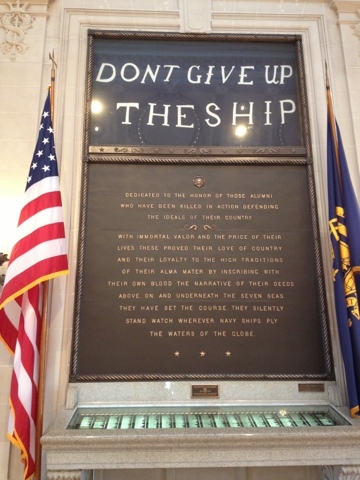 What a fitting occasion to spend the Memorial Day weekend here as well. 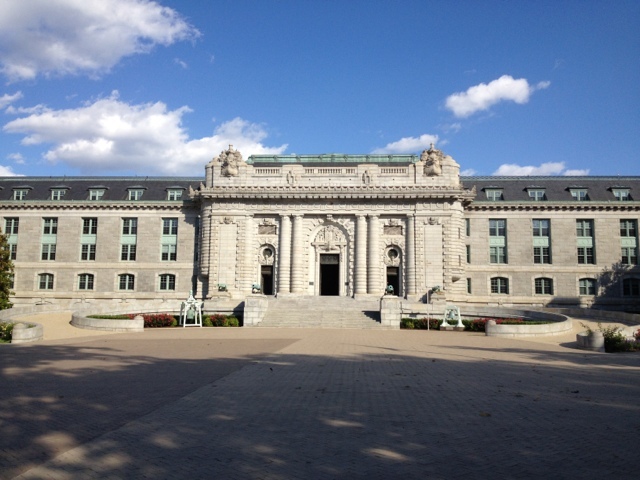 Our hotel is inside the campus, so I get to visit the USNA museum, Bancroft Memorial Hall, a beautiful Chapel and the biggest dormitory. 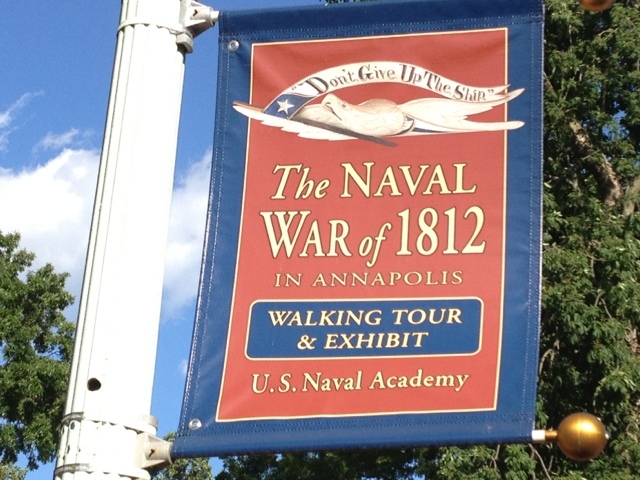 The old town center and the Chesapeake Bay Harbor are a few steps away from US Naval Academy Visitor Center. 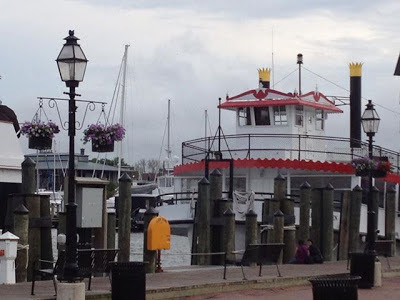 There are plenty of quaint and antique shops and restaurants by the harbor. In fact, President Obama mentioned two 'establishments' in the area that are frequented by students: The Armadillo and the McGarvey's. I did not try the Armadillo, but we had a family dinner at McGarvey's Saloon & Oyster Bar. It was interesting to see 'lumpia' (Filipino spring roll) on the menu. But the seafood was well-recommended, and did not disappoint. I recommend the Chesapeake crab balls and the crab dip with the freshly baked bread. Annapolis is situated on the Chesapeake Bay and offers plenty of boating and sailing.